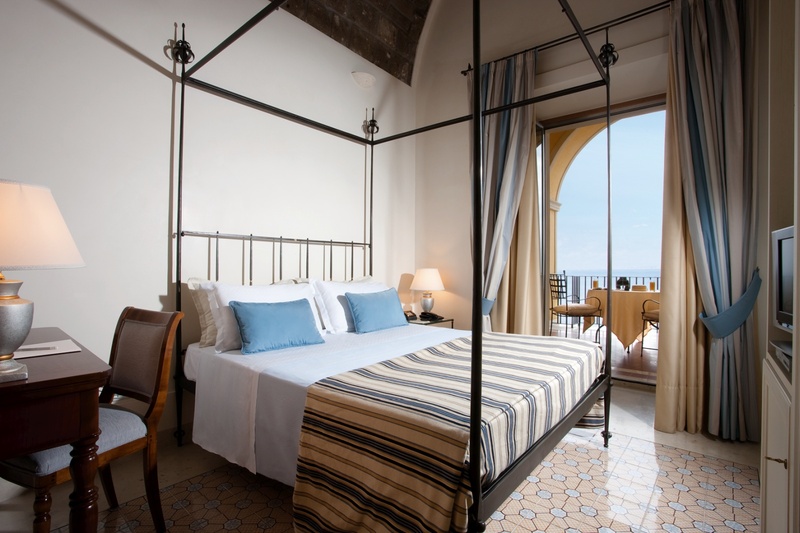 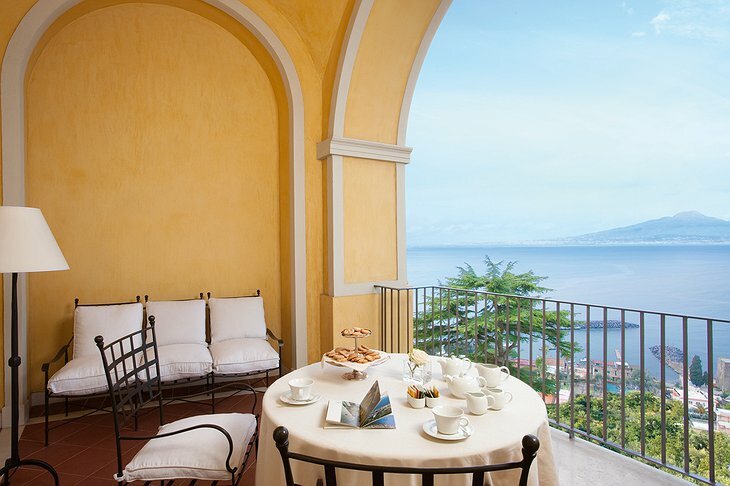 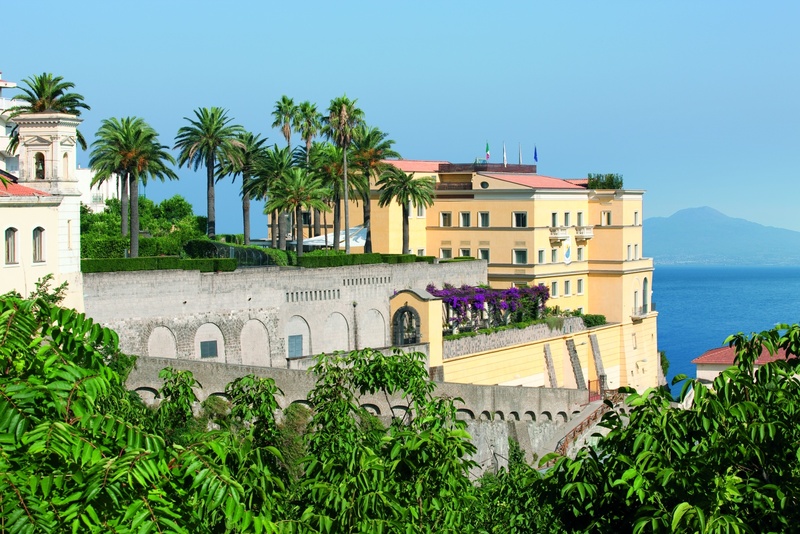 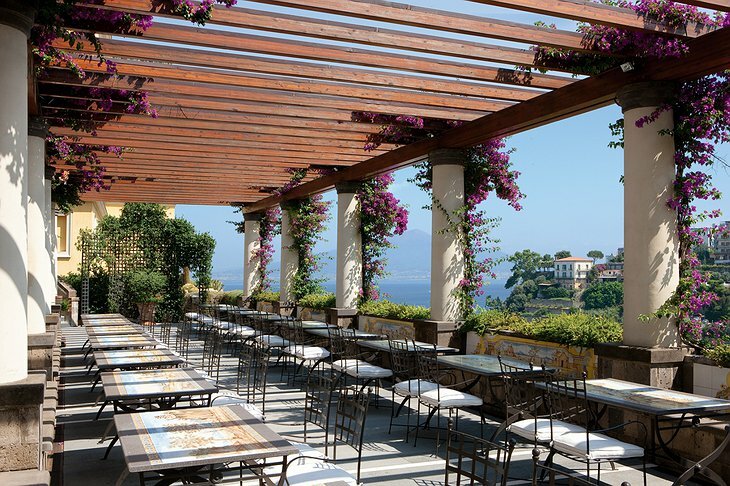 Overlooking the Tyrrhenian Sea, this gorgeous seafront hotel. 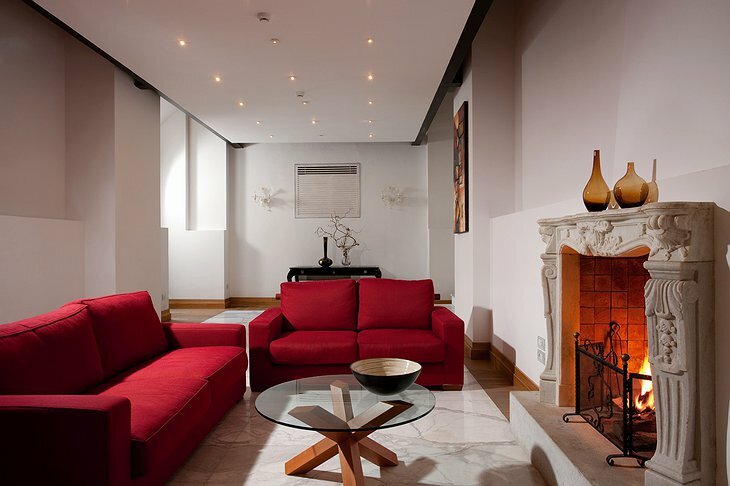 Once an ancient Roman villa turned nunnery, the Angiolieri is now a beautiful restored 18th-century hotel that continues to maintain the feel of a private home. 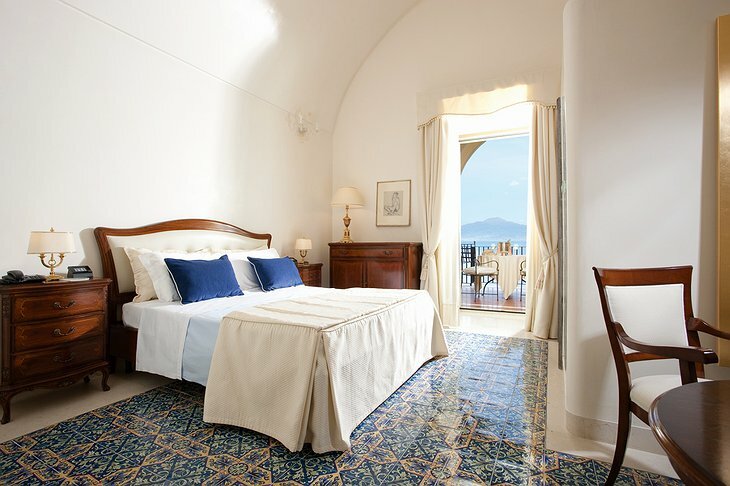 Peppered with both antique and contemporary furnishings, the Angiolieri offers guests plush and comfortable rooms. 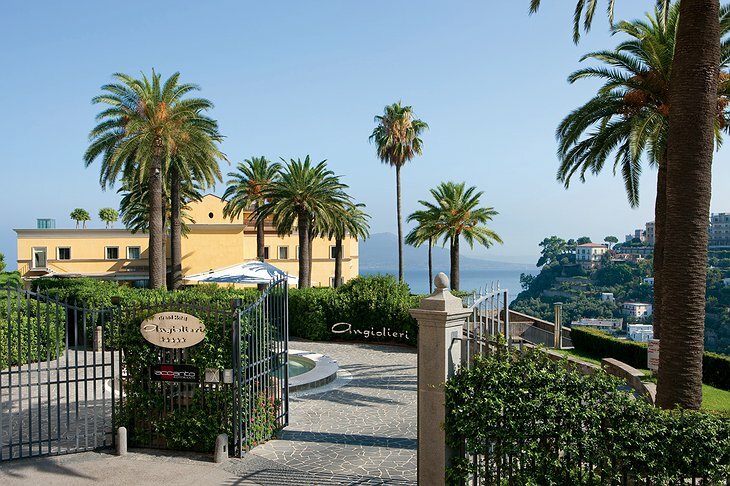 The atmosphere at the Grand Hotel Angiolieri is one of peace and quiet. 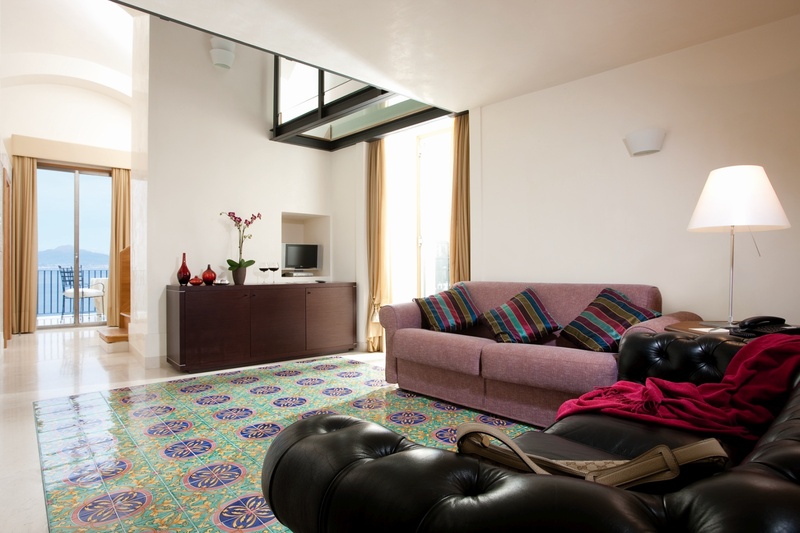 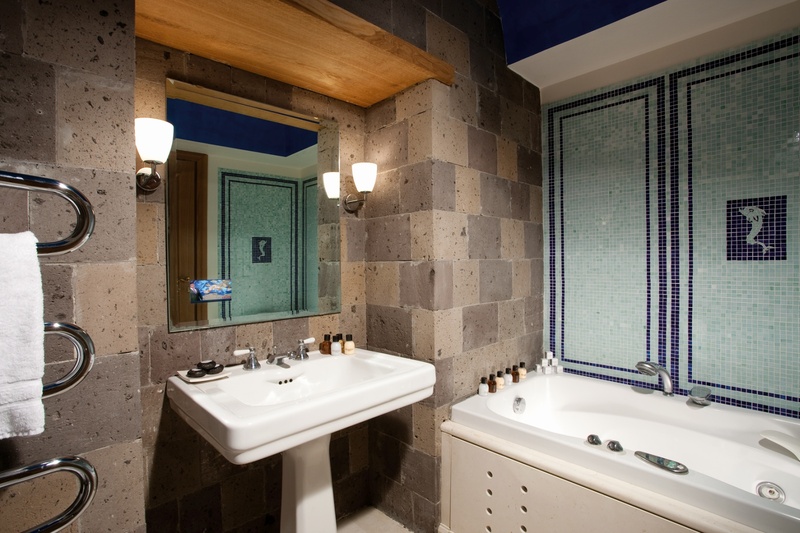 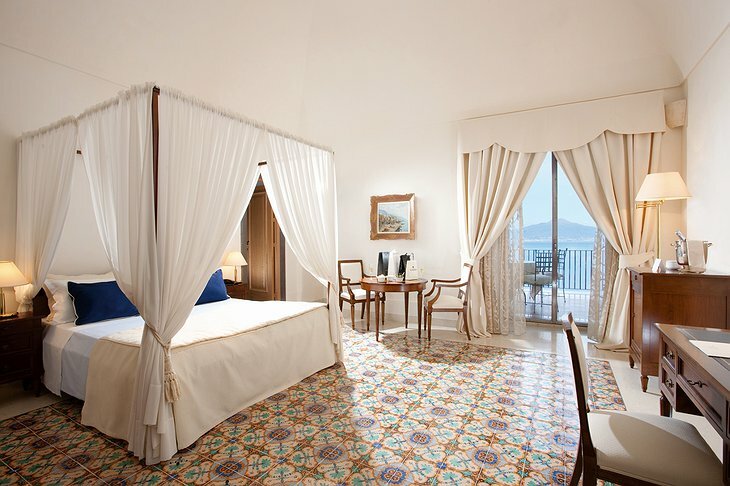 The 36 rooms and suites all have beautifully tiled Vietri Majolica floors and Jacuzzi bathtubs in the bathroom. 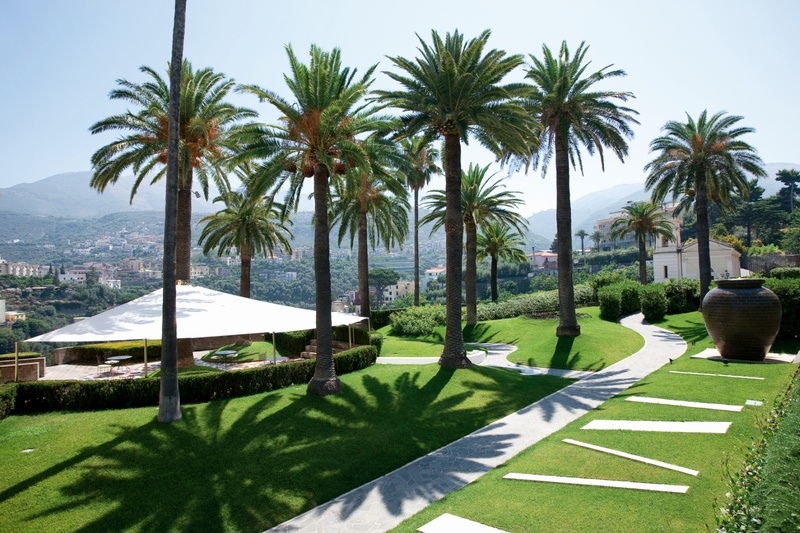 Relax and rejoice as you wander around the gardens and through the citrus groves, past orange and lemon trees, into the herb garden and alongside palm trees. 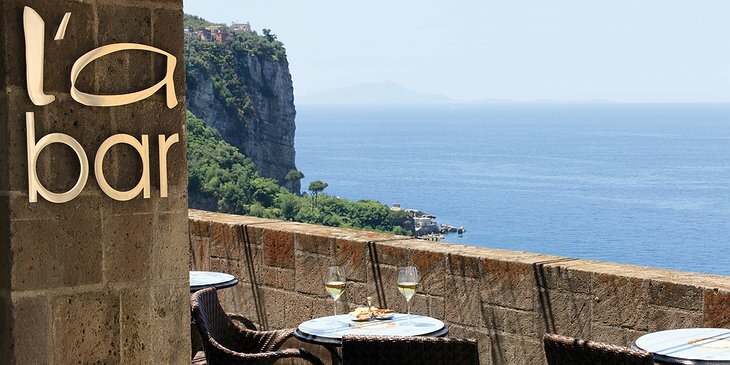 Cool off afterwards with a refreshing dip in the pool which offers incredible views of the sea. After you’ve worked up an appetite, enjoy a meal in the L’Accanto Restaurant while you take in views of the Bay of Naples and Mount Vesuvius. 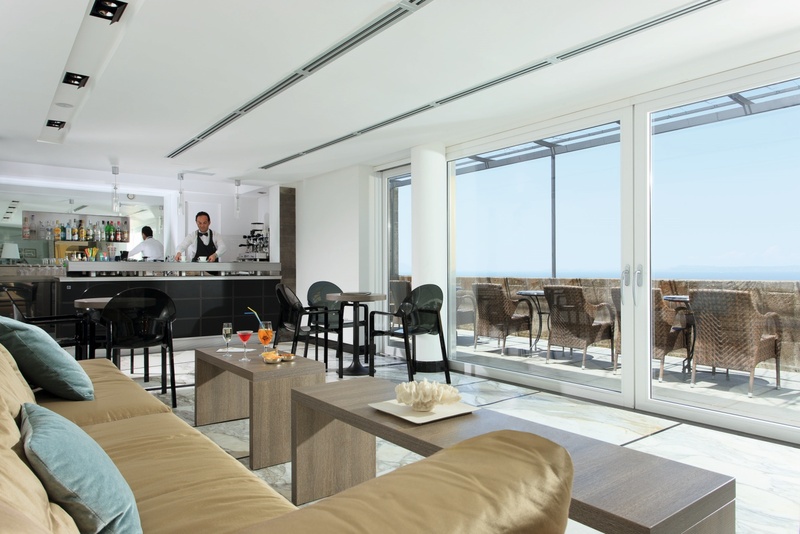 This hotel also offers exclusive cooking classes to learn regional specialities so you can take home the skills to make delicious gourmet dishes yourself! Private boat excursions, helicopter services and a 24 hour concierge are just some of the many other amenities you can enjoy with a stay at the Grand Hotel Angiolieri.